I feel as if I follow your way to draw. 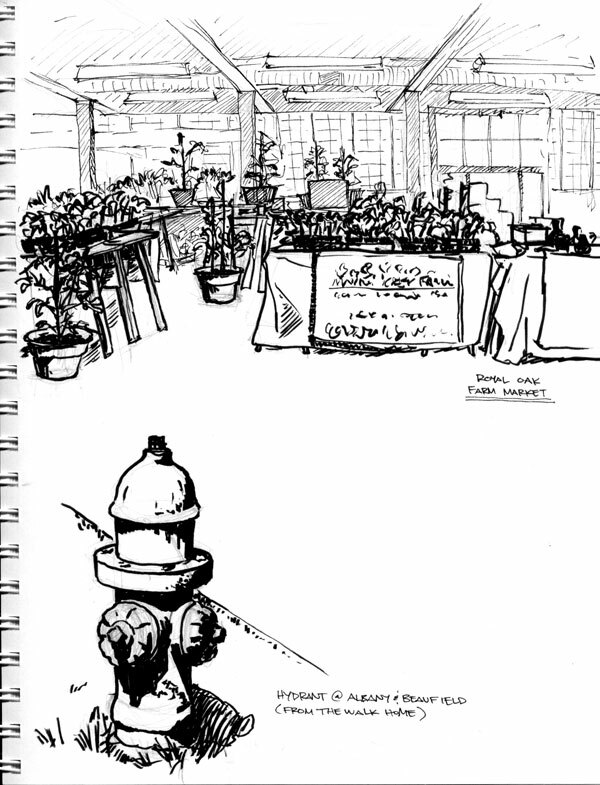 I love the second drawing at Royal Oak Market which seems like to be made unconsciously, freely as you want to draw. Enjoyed all! I'm originally from Detroit and saw the postings before the crawl and wondered if anyone was going to venture out. Glad you made it out. 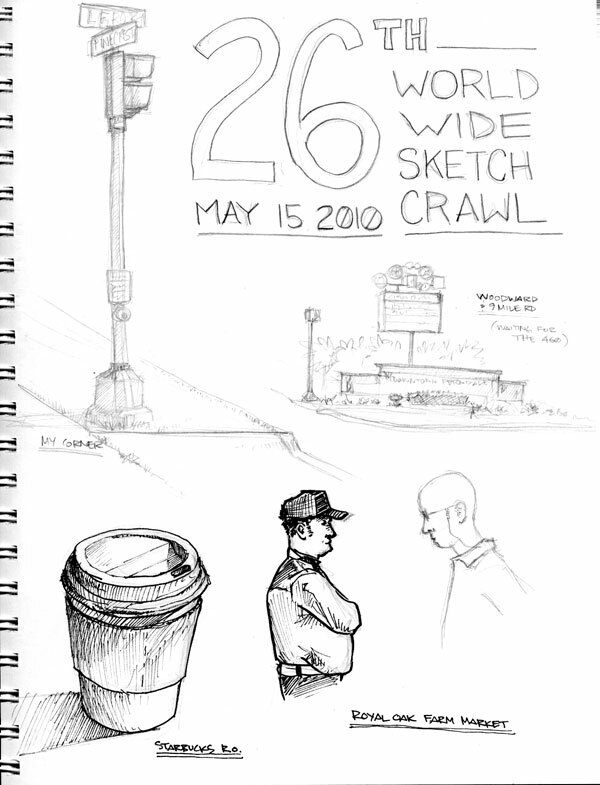 I'd love to sketch the farmers' market. I'm in Mid-Michigan now (after being in California for many years). Thanks for posting your sketches and reminding me of my roots.